Apple offers it’s iWork suite with Keynote (presentations), Numbers (spreadsheets), and Pages (letters) for iOS and OSX for free since October 2013. The iOS versions are perfectly adapted to touch screens and you won’t find the 80% features of Microsoft Office which private users don’t need. The concept of iWork follows Steve Jobs philosophy of focusing on essentials and saying NO to avoid excess. Since starting my blog here on WordPress I use Apple’s Keynote for creating all the collages I need for my articles and for posting on social networks. To visualize information with Keynote is a quite funny job and lets you more intensively think about the topic you are working on. To increase the security of an Apple account the company offers 2-Step Verification. Once activated it needs so-called ‘Trusted devices’ or a Recovery Key to manage your Apple ID. 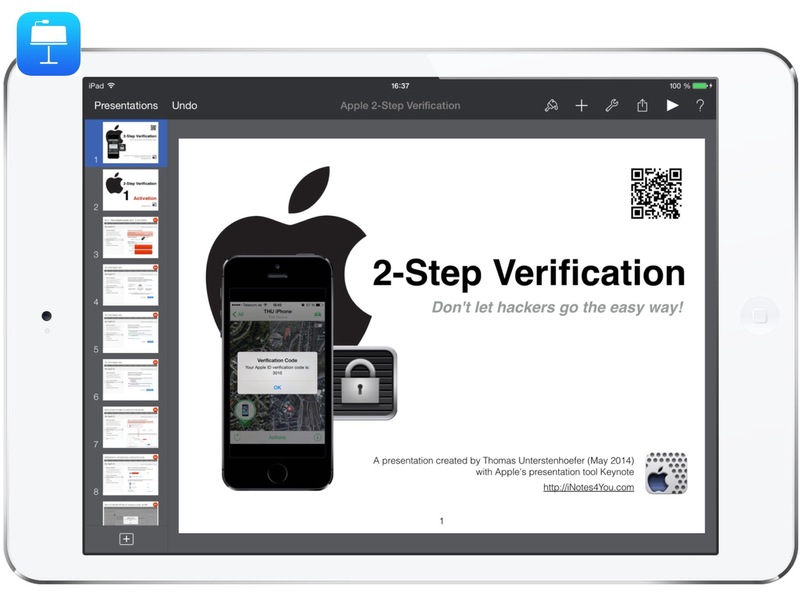 Here is a presentation created with Keynote explaining the activation and usage of 2-Step Verification. Feel free to download this sample as PDF file or in the native file format of Keynote. Once you created a presentation you can use it for posting it e.g. to Snapguide, the platform for publishing How Tos. It’s no question at all that Microsoft Office is a more powerful tool for professional tasks. Regarding presentations I think different. At the end if the day the outcome is a presentation focusing on essentials to not disrupt a straightforward view on the topic. This can be easily done with Keynote and there is no need to use Microsoft’s Powerpoint. Only the brain is able to support the creation of understandable visualized information. You cannot really crop an image inserted in a slide but you can hide unwanted portions of an image without modifying the image itself. Just double-tap the image. The mask controls appear. The default mask is the same size as your image. Use the controls to change which parts of the image are visible. Double-tap the image at any time to readjust its mask. Tap an object, then tap Format Inspector (brush symbol top right). Tap Style Options, then tap Effects. Drag the Opacity slider. You can layer text and objects to create the appearance of depth on a slide and then move items higher (forward) or lower (backward) in the stack. You can group multiple objects so that you can move, resize, or rotate them as a single unit. To avoid inadvertently moving, modifying, or deleting an object, you can lock it. You can group multiple objects and then move, resize, or rotate them as a single unit. Just touch and hold an object, then with another finger, tap the other objects you want to select. Lift your fingers, then tap Group from the context menu. You can customize the appearance of a line by changing its width (thickness), its color, or adding different endpoints to it – for example, an arrow, circle, or square. This is useful if you want to make a double-headed arrow, or if you want to create a decorative divider. Drag the handles (the blue dots) to change the line length and rotation. For curved lines, drag the green dot to change the arc. If you want to refer to external available information you can use Interactive Links which can be assigned to any object. Just tap an object, tap Tools, and then tap Presentation Tools. Use Interactive Links to add a slide, a webpage, or an email address. 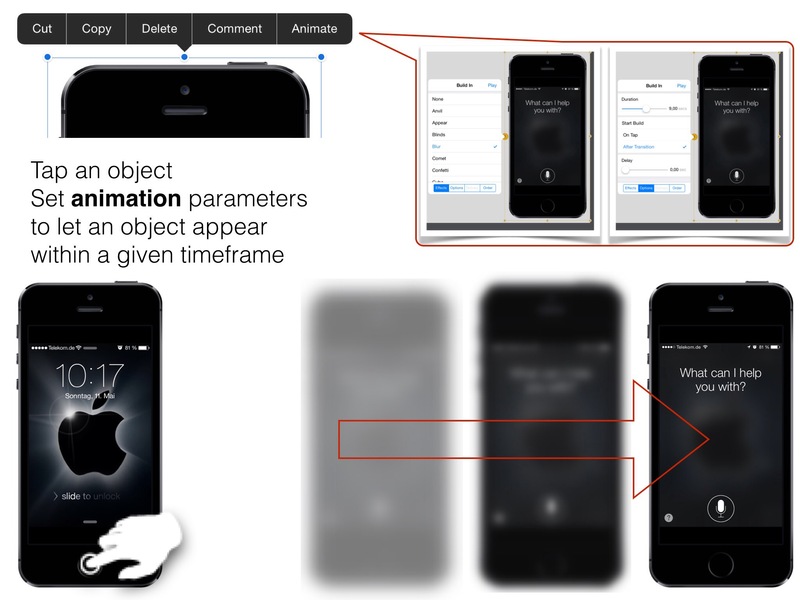 If you tap on the object while presenting the defined action will be executed. For example, you are talking about iCloud and assign a link to Wikipedia to get some background information. 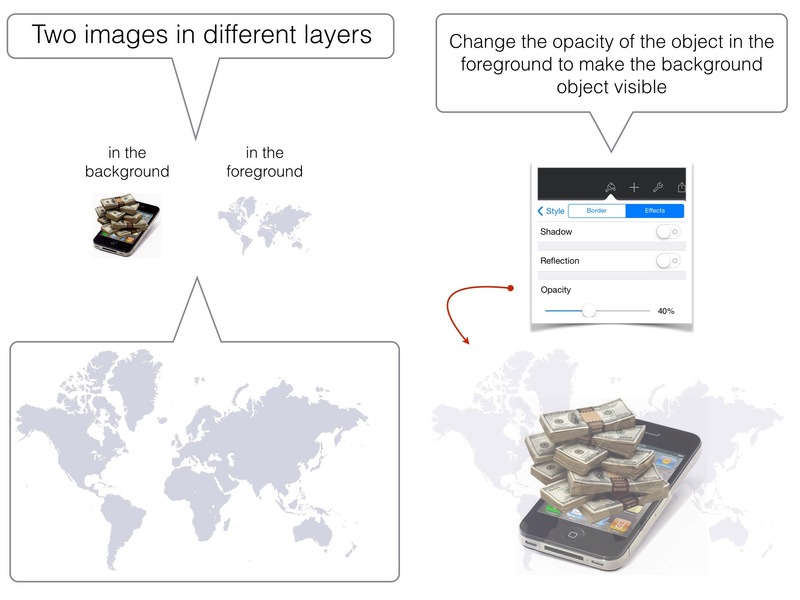 To make your presentation more dynamic, you can animate the objects on a slide. For example, you can make text appear on the slide one bullet point at a time, or make an image of a ball bounce onto the slide. Object animations are called build effects. Different build effects are available depending on whether the object is a text box, chart, table, shape, or image. Moving an object onto a slide is building in. Moving an object off a slide is building out. 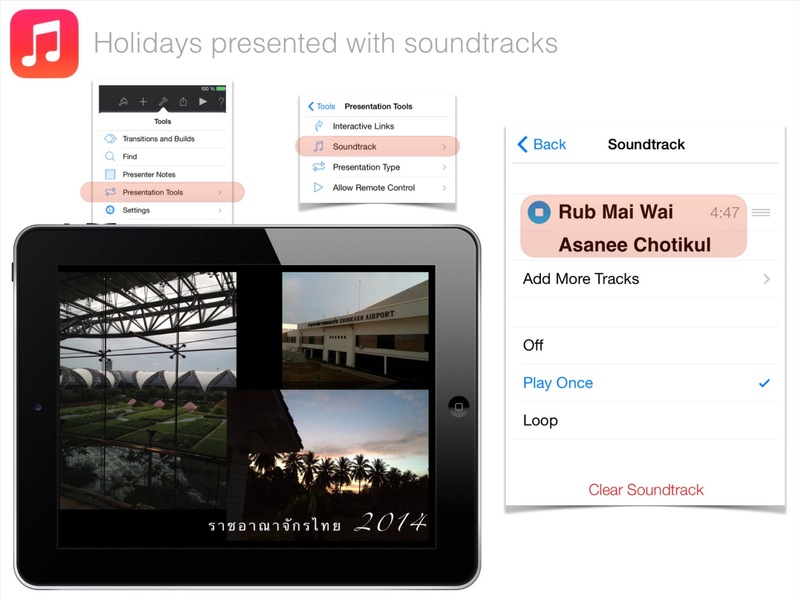 To breathe life into a presentation about your last holiday assign soundtracks (music from your iTunes Library). Asanee–Wasan (Thai: อัสนี-วสันต์ โชติกุล or Asanee + Wasan Chotikul) is a Thai rock band fronted by brothers Asanee “Pom” and Wasan “Toe” Chotikul. Among the band’s hits is a 1989 song that puts into verse the lengthy ceremonial name for Bangkok, “Krung Thep Mahanakhon” (“กรุงเทพมหานคร”). The elder brother, Asanee, is known for his guitar solos and his wild, “rock star” persona. His way of singing ballads is often described as broken-heart jiggo (jiggo is a Thai slang for bad boy, parody from Gigolo in English and Italian). The bespectacled Wasan is known for his sensitive songs and softer, gentler style. Their songs often include a hook chorus sung by female backing vocalists. For sure an expendable annotation for Thais because they all know the Chotikuls. Note, that it works not only with both devices connected to the same WiFi network but also with Bluetooth. Just activate BT on both devices and they will connect automatically. 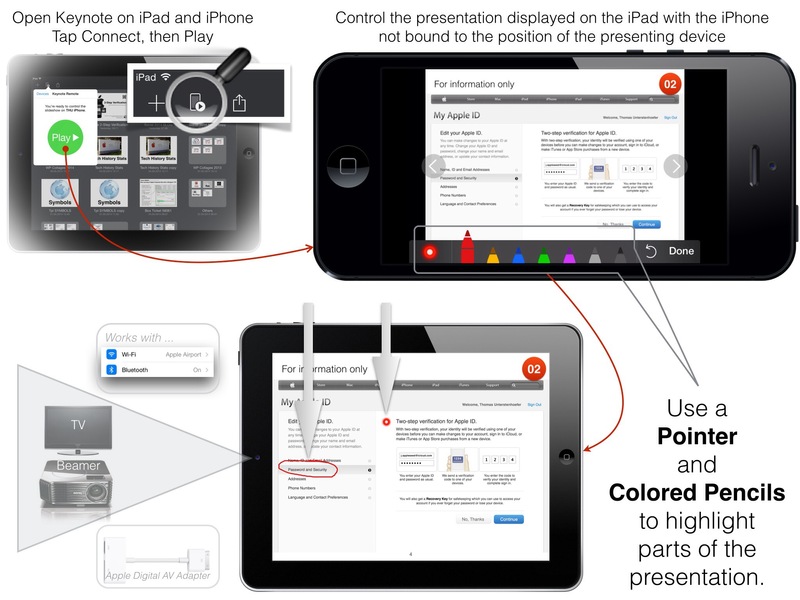 It’s also possible to connect more than one device to control the presentation. 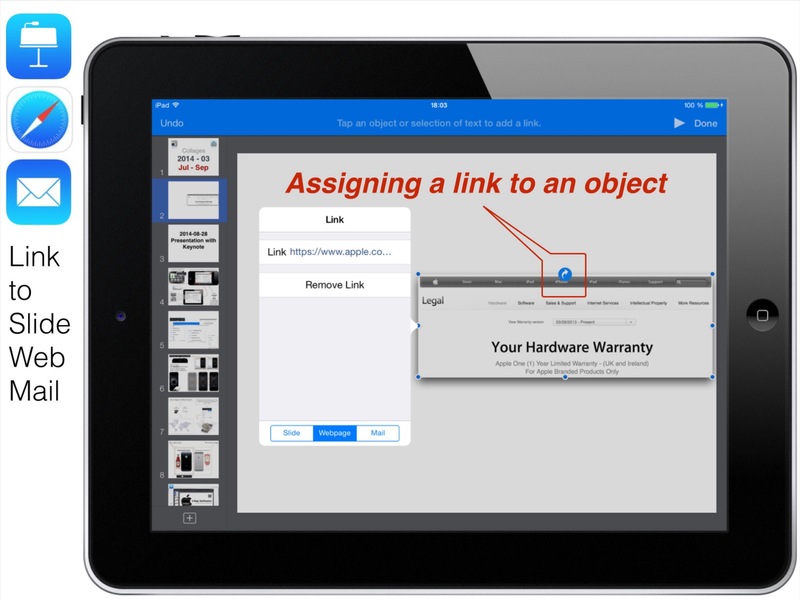 To enable remote control open a presentation, tap Tools, tap Presentation Tools, and than tap Allow Remote Control and activate Enable Remotes. It’s not all roses and Apple surprisingly is not perfect. Here are some features not supported although it would be a ‘Nice to have’. The rulers faded in when tapping on an object don’t really help. This is the main problem within Keynote. Not only alcohol let your fingers act restively. Creating an image lets you again intensively think about your topic. So it’s worth to create own collages instead of just using images found in the internet. First I collect some useful images, open Keynote and start creating a collage which hopefully can be helpful for readers. Using colors, connectors, text, and screenshots taken from my device breathe life into the collage. If it’s ready I take a screenshot while in presenting mode and insert it into my blog post. That’s it. The benefit is that you are always far away from any Copyright infringement valid for images you found in the internet. You can find more information in my blog post The Copyright. Here are some notes how to ensure that files are securely stored and accessible for others. Just tap and hold on a file until it jiggles, then tap on + to copy the file. So you are secure if you accidentally delete a presentation. Go to Settings – iCloud – Documents+Data and turn on Documents+Data. Make sure that Keynote is turned on. So you just need an iPhone to present your slides to an audience by connecting it to a beamer, a TV or any other HDMI capable device with Apple’s Digital AV Adapter. If you tap on the Action control and select ‘Send a copy’ iWork offers WebDAV as an alternative place to store files. All your cloud storages supporting WebDAV can be configured to send a copy to that place. With this you have an additional copy of your file and you can use your preferred unique place for sharing files with others. Using WebDAV is explained in a further blog post mentioned in the ‘Related links’ section. 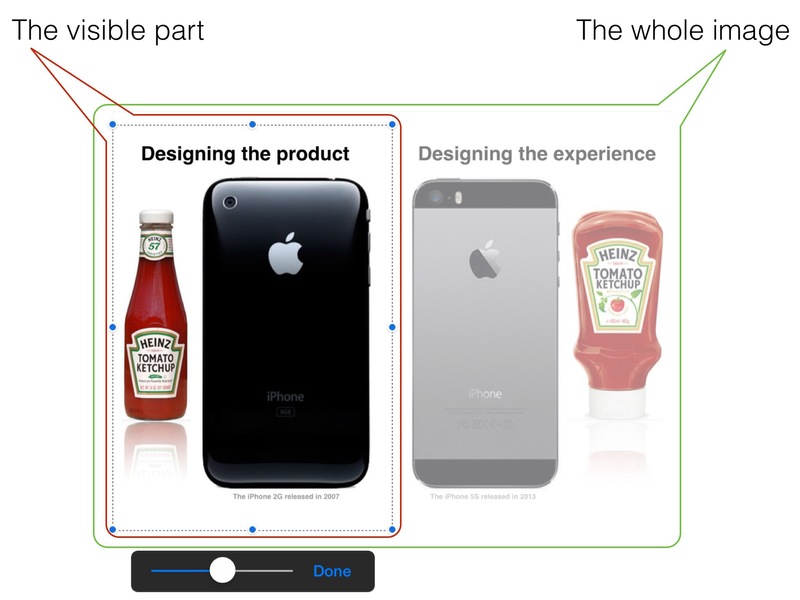 It’s worth using Apple’s Keynote for creating powerful presentations. With the help of an iPad you can do it everywhere and anytime just using your fingers, the main source of creativity.